What if someone you love ... just disappeared? Reese Witherspoon, Jake Gyllenhaal, Meryl Streep, Peter Sarsgaard, and Alan Arkin star in Rendition, a thriller from director Gavin Hood. Witherspoon stars as the American wife of an Egyptian-born chemical engineer who disappears on a flight from South Africa to Washington. The woman desperately tries to track her husband down, while a CIA analyst (Gyllenhaal) at a secret detention facility outside the U.S. is forced to question his assignment as he becomes party to the man's unorthodox interrogation. $4.060 million on 2250 screens. While the presence of multiple Oscar-winning actors doesn’t ensure the success of a flick, it should at least ensure that the picture in question doesn’t slip into obscurity. When the performers in question are as famous as Reese Witherspoon, Meryl Streep and Alan Arkin, it seems even more difficult for the movie to vanish. Add a rising star like Jake Gyllenhaal to the equation and it appears impossible for such a film to stay out of the public consciousness. And yet 2007’s Rendition somehow managed to escape much notice. It opened in October, pulled in a miserable $9 million and went bye-bye. I’m not sure it deserved such a fate, but I also can’t claim that it emerges as a neglected gem. In an unnamed North African country, a suicide bomber kills a number of people including an American agent. As he flies home to Chicago from a conference in South Africa, authorities surreptitiously apprehend Anwar El-Ibrahimi (Omar Metwally) as a possible participant in this plot. As part of this, they eliminate any indications that El-Ibrahimi took his flight, a factor that leaves his wife Isabella (Witherspoon) to feel he disappeared without a trace. Although interrogator Lee Mayer (JK Simmons) thinks El-Ibrahimi isn’t involved, his CIA boss Corrine Whitman (Streep) remains interested. This means El-Ibrahimi will suffer through more severe questioning methods in a secret location, all while Isabella tries to find him. In the meantime, inexperienced CIA operative Douglas Freeman (Gyllenhaal) becomes involved in the interrogation, and we also spend time with a young local couple (Moa Khouas and Zineb Oukach¬) as we discover their connection – and others - to the situation. Here’s one thing filmmakers should know to be true: mass audiences have yet to find a story about the Iraq War or terrorism that they will pay to see. That doesn’t mean these flicks shouldn’t be made, of course, or that none of them will ever prove successful, but to date, I think US moviegoers may feel they get enough of this stuff on the evening news and don’t need reminders when they go to the cinema. Rendition obviously wasn’t the film to change that trend, and frankly, it didn’t deserve to be the movie to alter the standard equation. Much of the problem comes from its Babel-lite feel. 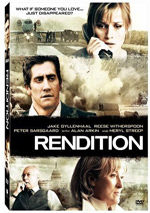 Like that 2006 flick, Rendition takes on a handful of interrelated stories and melds them into one by the end. 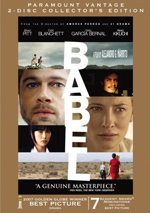 While that motif worked well in the consistently deft and intriguing Babel, here it feels much less successful. The different tales fail to really coalesce. We see the connections but the movie never links them in a satisfying manner. Instead, the film feels like a bunch of different stories that all compete for our attention but never grab it. Honestly, none of the stories ever manage to become especially involving. Rendition has the potential to tell some interesting tales, but it spends too little time on any of them to prosper. All the characters and themes are too underdeveloped to draw in the viewer and create real power behind the events most of the time. While Rendition boasts an excellent cast, don’t expect a lot from them here. Most of the actors seem to be on cruise control throughout the film, as their performances rarely demonstrate much power or depth. I don’t really blame the actors, as I think the flaws mostly remain with the inadequacies of the script, but the performers don’t do much to elevate the tepid material. With one exception. Metwally does an excellent job as the possible terrorist El-Ibrahami. He gets a physically difficult part and deftly conveys all the different emotions experienced by his character. It’s the one turn in the film that really stands out as powerful. But he can’t make Rendition into something more than a glorified editorial. Much of the film feels like an extended screed against excessive interrogation techniques. Hey, I’m all for that, as I don’t agree with our current administration’s embrace of torture, but just because the flick and I are on the same political page doesn’t mean I liked it. It’s the ham-handed way in which Rendition explores its themes that causes problems. The film could’ve become an intriguing debate about the techniques if it’d been less obvious and less stuck on one side. Unfortunately, it leaves little question as to its agenda and doesn’t allow much room for the audience to come to their own conclusions. Despite these criticisms, I can’t call Rendition a bad film. 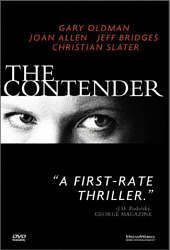 Even with its flaws, it musters some power from its basic situations, and it manages to remain watchable at all times. It just never works any better than that, and it comes as a disappointment. 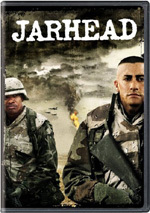 Rendition appears in an aspect ratio of approximately 2.35:1 on this single-sided, double-layered DVD; the image has been enhanced for 16X9 televisions. I thought the disc provided a consistently satisfactory transfer. P> Only a few minor glitches affected sharpness. At times, some wide shots displayed modest softness, and I also saw some light jagged edges during movement. Nonetheless, most of the film showed nice clarity and accuracy. Shimmering seemed to be absent, but I witnessed light edge haloes through the flick. At least it came without source flaws, as even film grain appeared lighter than normal in this clean presentation. Like most dramas of this sort, Rendition went with a subdued palette. It wasn’t truly stylized, but it used a low-key set of colors that emphasized quiet blues and tans. The hues were consistently satisfying within those parameters. Blacks seemed dark and tight, and shadows displayed good clarity, as the low-light shots offered nice delineation. This wasn’t quite an “A”-level transfer but it seemed good. I felt the same about the occasionally involving Dolby Digital 5.1 soundtrack of Rendition. The outdoor scenes in Africa created the best settings. Some of the good material came from the gunfire and explosions, but even the basic street environment proved lively and encompassing. Most of the movie stayed with general atmosphere, and those elements were also quite good. Music displayed nice stereo imaging and the surrounds bolstered the track well. Audio quality pleased. A few louder lines showed some edginess, but dialogue was usually crisp and concise. Music displayed good range and vivacity, while effects were clear and accurate. Bass response proved satisfying during more prominent moments. I liked this consistently positive soundtrack. A few extras round out this set. We get an audio commentary with director Gavin Hood. He provides a running, screen-specific chat. Hood chats about locations and geographical decisions, story and script issues, cast, characters and performances, visual design, research and real-life influences, and a few other production decisions. Hood provides a consistently chatty and involving commentary. He keeps things moving at a nice pace and offers a broad view of the production. Really, I can’t find much not to like about this solid little discussion, as it covers the appropriate bases in a positive manner. A documentary called ”Outlawed” goes for 27 minutes, 50 seconds. This piece looks at the cases some folks detained and interrogated in secret during recent years. We hear from subject Khaled El-Masri, CIA Rendition Program Chief Architect Michael Scheuer, and the relatives of a torture victim. Like Rendition itself, “Outlawed” wears its politics on its sleeve. Unlike the film, though, this show boasts the power behind its factual nature. It gives us a powerful look at some of the atrocities conducted under lawless interrogation programs. Intersections: The Making of Rendition runs 30 minutes, five seconds and features notes from Hood, producers Steve Golin and Marcus Viscidi, director of photography Dion Beebe, extras casting director Salaheddine Benchegra, location managers Driss Gaidi and Christian McWilliams, Moroccan first AD Nourredine Aberdine, first AD Peter Kohn, picture vehicle coordinator Steve Lamonby, and actors Reese Witherspoon, Peter Sarsgaard, Omar Metwally, Zineb Oukach, Moa Khouas, Jake Gyllenhaal and Meryl Streep. The show looks at shooting in various locations and logistical concerns, cinematography, some story and character thoughts, casting extras, Hood’s approach to the material, and a few additional issues on the set. While a bit disjointed, “Intersections” works mostly due to a lot of good glimpses at the set. We find many nice “fly on the wall” shots that let us take a look behind the scenes. These elements flesh out the occasional filmmaker comments and make this an interesting program. Five Deleted/Alternate Scenes last a total of 18 minutes, 16 seconds. We find “Phone Call Subplot” (6:55), “Madrasa” (1:12), “Fake Escape” (6:12), “Extended Prison Escape” (1:18) and “Alternate Ending” (2:36). “Call” is probably the most interesting of the bunch as it explores Freeman’s suspicions about his lover, but those scenes wouldn’t have added anything notable to the film. “Fake” also has some decent elements, though it also would’ve slowed down the movie without much merit. The other clips are fairly forgettable, as even the “Alternate Ending” doesn’t bring anything useful to the table. We can watch these with or without commentary from Hood. The director continues to offer good insights about the film. He provides some thoughts about the scenes and lets us know why he cut them in this engaging discussion. A few ads open the DVD. We get clips for Pride and Glory, Black August, In the Valley of Elah, and Pu-239. These also appear in the DVD’s Sneak Peeks area, and we find the theatrical trailer for Rendition as well. If it focused more on characters and plot and less on political commentary, Rendition might’ve become more potent. As it stands, the movie has some moments but tends to veer into territory that makes it more like an editorial than a real story. The DVD provides very good picture and audio along with a mix of satisfying supplements. I can’t complain about this fine release, but the film itself doesn’t prosper enough for my recommendation.